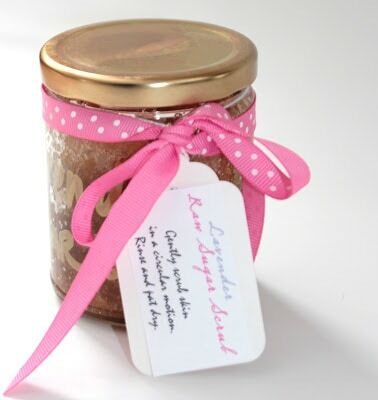 Give the ladies in your life a little sweetness with a quick, easy and inexpensive homemade gift that they will appreciate all through the year. And they couldn’t be easier to make! 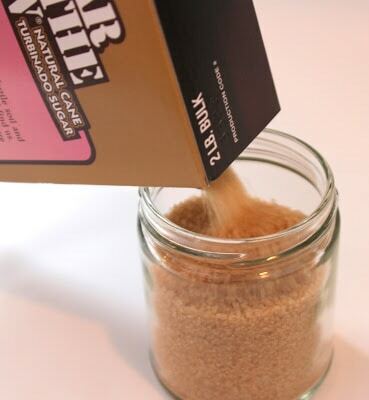 Start with raw sugar and vegetable oil, and add your choice of a scent. You can try different oils – grape seed, olive, and rosehip oils are all wonderful antioxidants that keep your skin healthy and youthful. ….but I’ve since started using liquified coconut oil – you can find it in the cooking oils section of Target. Hannah and I made this batch of mini jars for our random acts of kindness campaign we had fun with in December. One 2 lb. 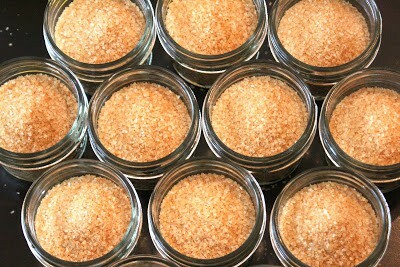 box of raw sugar will fill a dozen 4 oz. Ball jars. The ratio is about 1/4 cup of oil for every cup of sugar. I like my scrubs to have a lot of oil for shaving my legs, so I always go a little heavy on the oil. 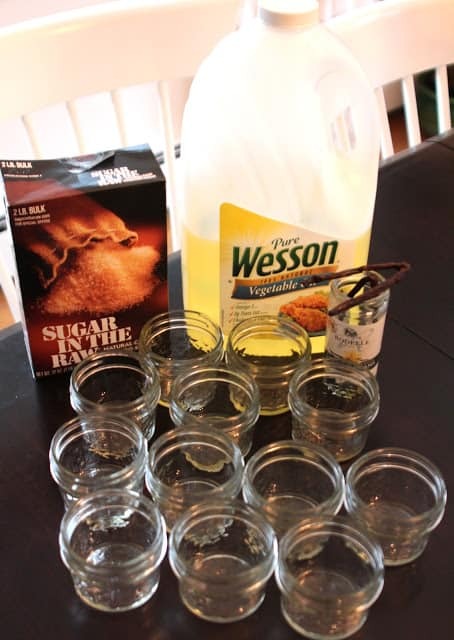 Glass jars with tight fitting lids out of the recycle bin are also great for this project. 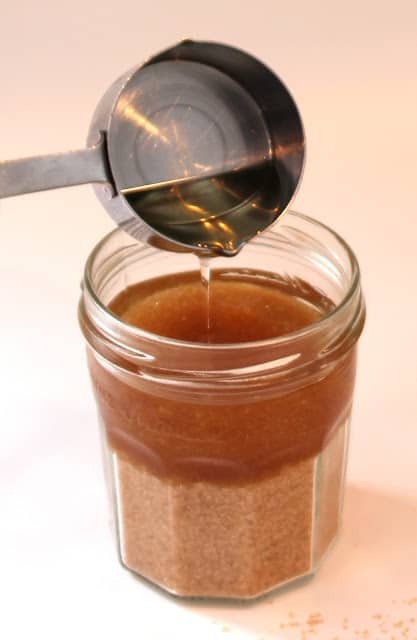 Fill a clean jar with sugar, leaving a little room at the top for oil. Essential oils are great for scrubs! Essential oils are all natural and many of them have very therapeutic properties. 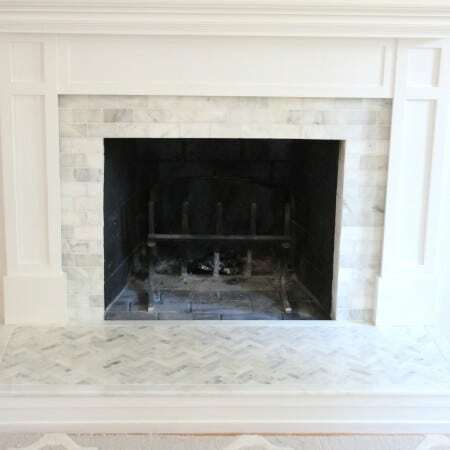 I have tried several brands over the years and am really pleased with this one for both high quality and price. 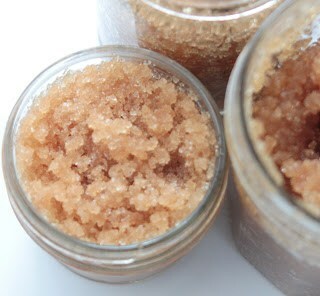 With the better oils (undiluted), one drop is all your jar of sugar scrub needs. A little goes a long way! You can also use fresh ingredients in your scrub, but keep in mind that anything fresh, like orange peel or ginger, will have a limited shelf life and need to be refrigerated. 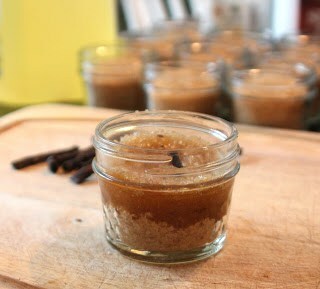 I love vanilla bean – it smells so amazing!! Slice open the bean and scrape out some of the seeds into the sugar. I add the bean into the jar also to maximize the scent. Vanilla extract isn’t as intoxicating as vanilla bean, but works great if you already have it on hand. After you add your scent, mix up your concoction well. 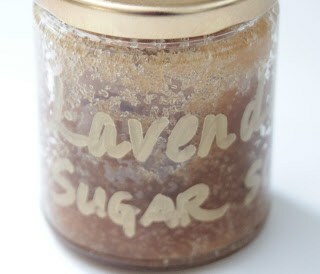 Since this little jar will likely live by your sink or in the shower, forgo a paper label for a pretty metallic marker. 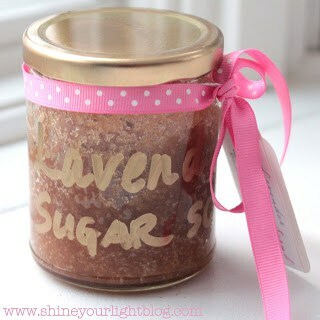 If you’re giving your homemade scrubs away as gifts, don’t forget to add a tag with directions, and a wide popsicle stick to scoop the scrub out with is a nice touch too (widely available at craft stores). 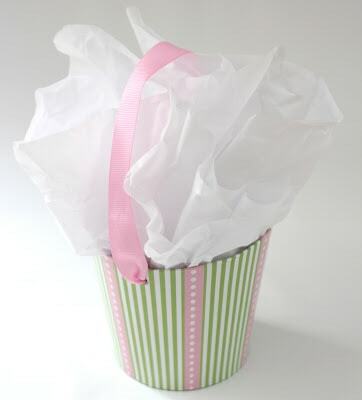 This would be a fun thing to make at a tween or teen girl’s birthday party, with various scents to choose from, for a bridal shower favors, or for Christmas gifts for your besties. happy week of love, loves! Chocolate Cups, Letters, Shapes, Curls & Shavings! these are great! i made some for christmas using coconut oil- i made a vanilla brown sugar one, and the candy cane one (which was my fave!). this is actually our next wine and design so saving these, too! Ohhh, niiice! I've made something similar with lemon dish soap and regular sugar, but I'll have to try this one out! They would be great gifts! What a great idea. My skin is so dry right now. I can't wait to make some and I love the idea of giving them as gifts. Thanks for the inspiration, Lisa! 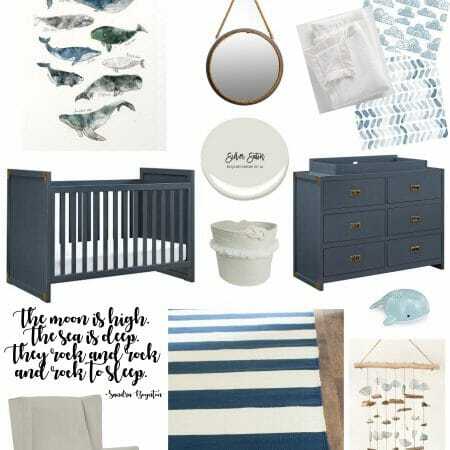 What perfect little gifts! Pinning! I want this for myself! So that's when you know its a good gift. Thanks. Pinning this. Any idea what the shelf life of this might be? It's Nov. 23. I'd like to get a jump on things and make this today to give to my staff Dec. 19. 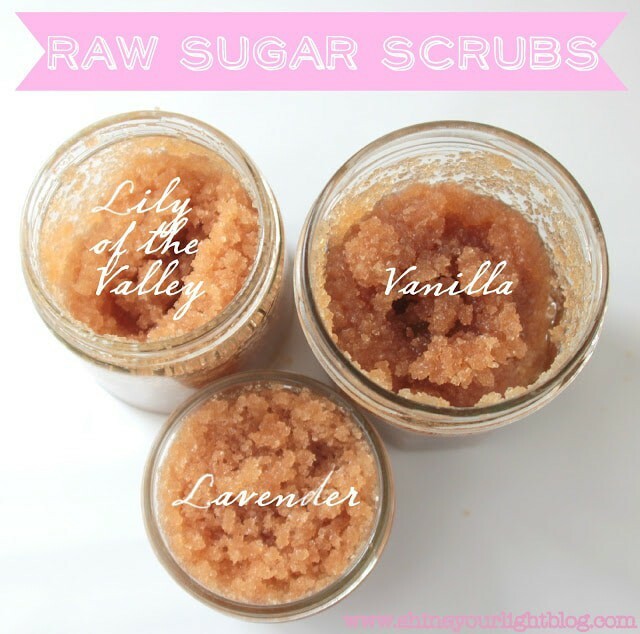 Penny, I'm not sure of their shelf life but I have jars of these scrubs all over my house (kitchen, bathrooms) and have been using them for over a year and they are just as good as new! I used this recipe but used sunflower oil instead of vegetable. i used peppermint and eucalytus essential oils . its a present for my boyfriend (he takes care of his skin lol) but i tested it and i lovee it. Oh I’d love to try peppermint essential oil for this! Thanks for the recommendation!